I really think some of the best learning happens when they have no idea that’s what they’re doing! Yesterday we played pumpkin BINGO and had a blast- they didn’t know it but while playing they were also practicing color and shape recognition! Not to mention they practiced fine motor skills and problem solving as we put the game together! 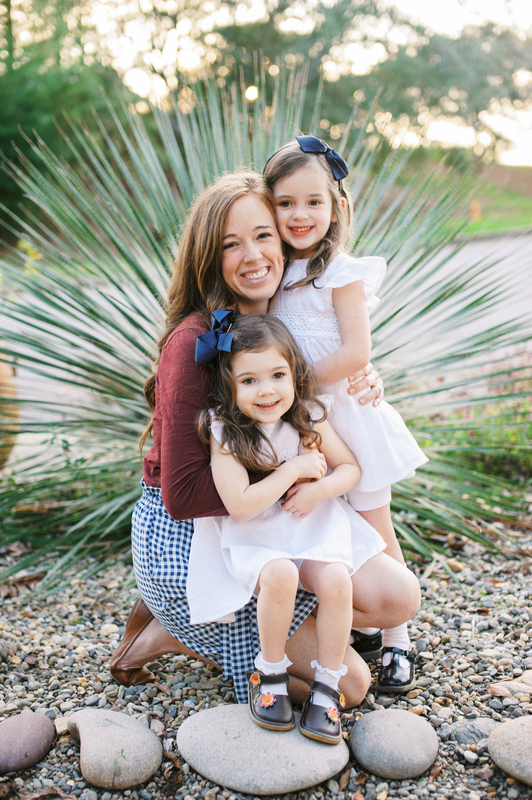 This activity is perfect for preschoolers and kindergarteners too! Start by cutting out the pumpkin shapes. 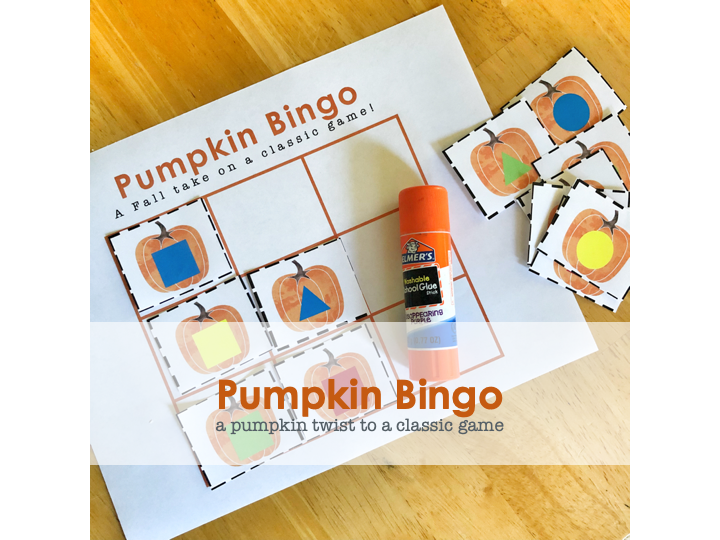 Then let your littles have fun covering the BINGO grid and gluing down the pumpkins. This makes each board an individual card with varying possibilities for winning the game. Now, the real fun begins! I added an extra set of pumpkin shapes to a mason jar so I could pull from them to call out pumpkin shapes. The girls had a great time covering the shapes they had with candy corns and go SO excited when they could call out BINGO! This BINGO grid is intentionally smaller than an average board. The frustration ceiling for preschoolers is typically lower than a 5×5 grid so I simplified it as they learn the game. As they grow we’ll try bigger boards. To win BINGO all they had to do was get one straight line. Simple and easy enough to win while keeping them engaged and learning! You’ll find this activity and so many more pumpkin themed play and learn fun in this month’s calendar. Click the button below to find out more! Sign up with your email address to receive my weekly FREE Print Friday emails! A free printable activity sent straight to your inbox every week!